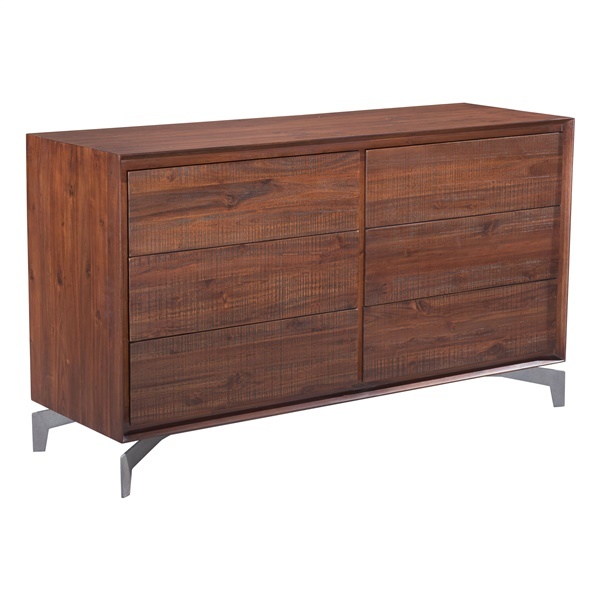 The Perth Double Dresser by Zuo is a rustic storage option for your bedroom or dining space. Featuring six spacious drawers, it provides you with ample space to store your items. Constructed of acacia wood and a rich chestnut finish, you can easily incorporate it into any modern decor. It is supported by a sturdy metal frame to complete the handsome design.